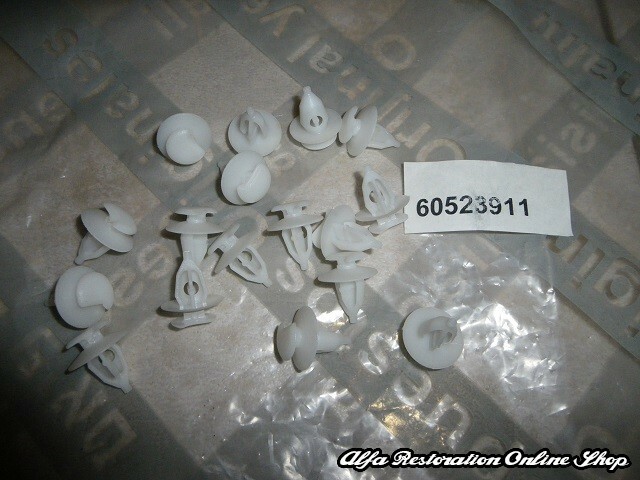 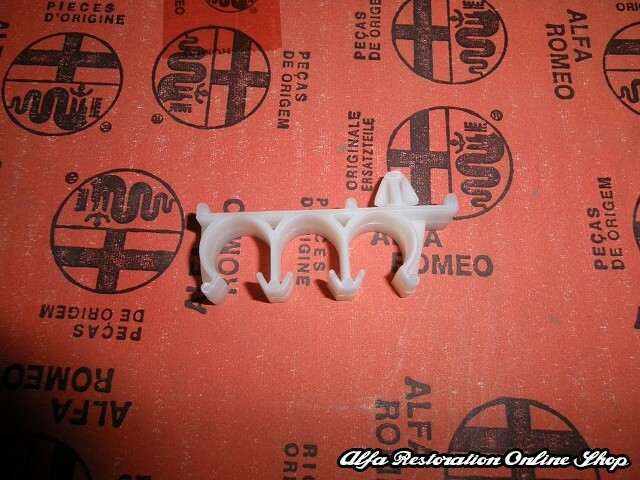 Alfa 33 windscreen wiper/radiator grille plastic clips. 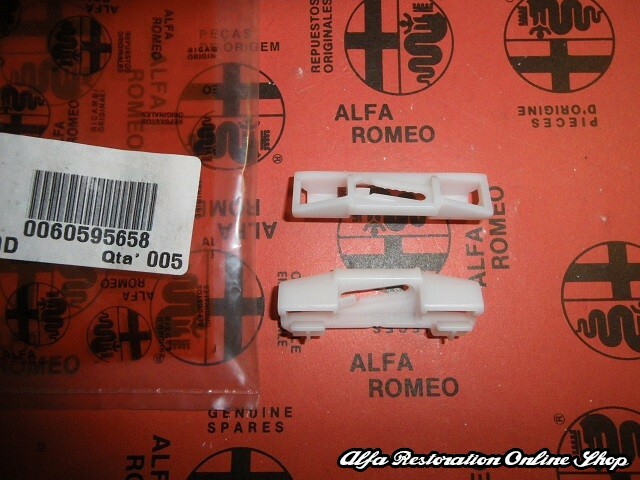 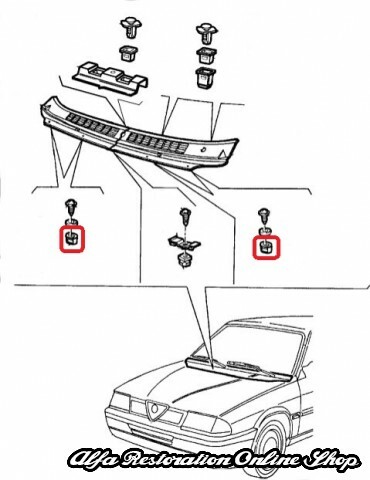 These are the clips which remain fixed to the body and the windscreen wiper grille attached to. 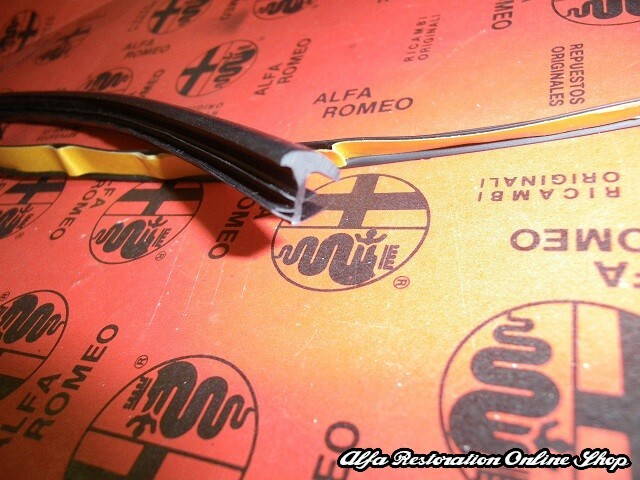 Usually these clips due to aging get brittle and crack resulting poor attachment to the car body. 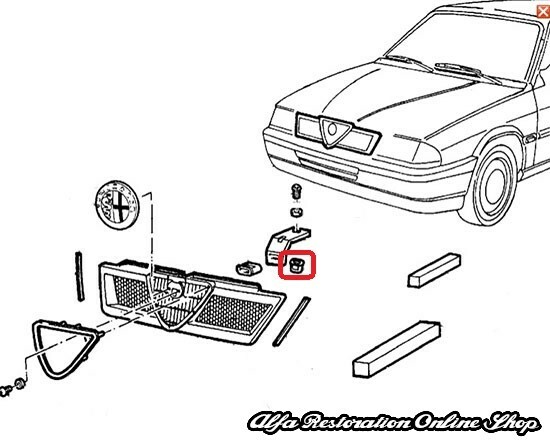 Also found on the radiator grille. 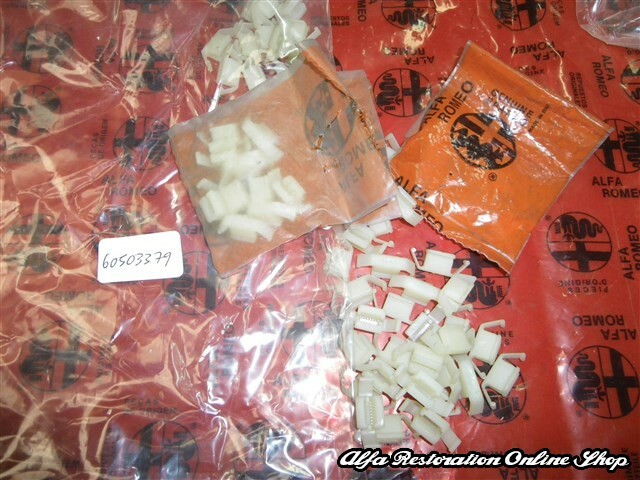 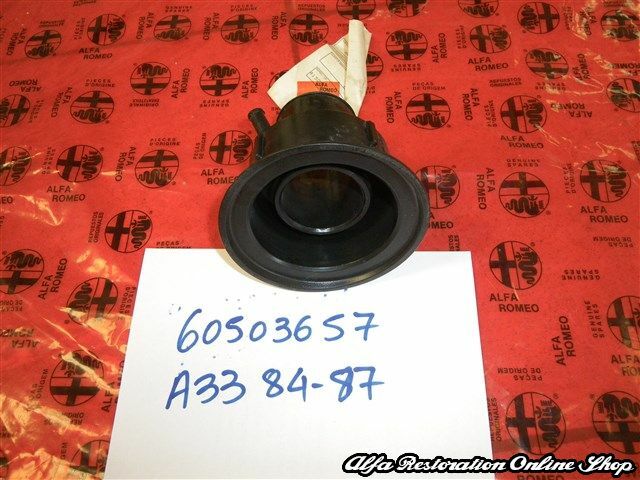 Sold per item, OEM part number 60503379. 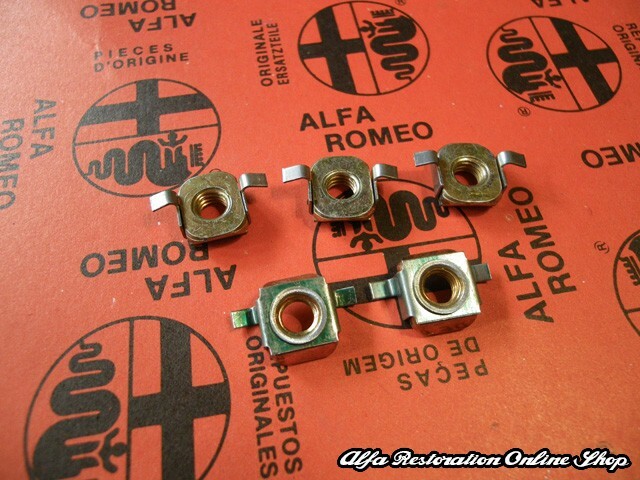 Suitable for all Alfa 33 models.